You may think that there is nothing that you can do if you are arrested for driving while intoxicated (DWI) in Charlotte and know that you are guilty. However, this is not true. You do have options and may have strong defenses that can result in the charges against you being dismissed or reduced to a less serious offense. However, you will need the assistance of an experienced DWI attorney who can help you achieve the best possible outcome. Identify your defenses. A lawyer will conduct a thorough investigation regarding the circumstances surrounding your arrest and review the evidence against you. This will enable him to identify the defenses you may have. As in other types of criminal cases, you may have strong defenses—even if you are guilty. For example, the police may not have had probable cause to stop you, or your field sobriety or breathalyzer tests may not have been conducted properly. These defenses may result in key pieces of evidence being ruled inadmissible and the prosecutor’s case against you being significantly weakened. Understand the law and procedures. An attorney who handles many DWI cases in Charlotte will understand both North Carolina’s statutes and case law that apply in your case. This will enable him to be up-to-date on possible defenses that can benefit you. In addition, he will understand the court procedures that must be followed and how the judge assigned to your case handles DWI cases in general. Explain your options. You need to understand what you can expect to happen in your criminal case, the strengths and weaknesses of your defenses, and how a DWI case works before you attend your court hearing. A skilled DWI attorney will be able to explain all of this to you so that you are prepared for what is to come and can make the best decisions about your case. Enter into a plea agreement. Depending on your circumstances and the defenses in your case, it may be beneficial to enter into a plea agreement with the prosecutor. An attorney will have handled many cases with the prosecutor assigned to your case and will know the best way to approach negotiations so that the charges are reduced and the penalties are minimized as much as possible. Retain experts. You may need to retain expert witnesses to support your defenses or to challenge the prosecutor’s evidence against you. 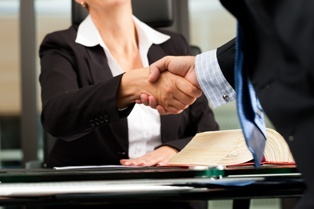 An attorney will have a network of qualified experts that will be good witnesses that may be helpful in your case. Conduct your trial. If you decide it is your best interests to take your case to trial, you need an experienced attorney who has handled many trials to represent you. Conducting a trial is complicated. A lawyer will understand the court procedures that must be followed, how to properly introduce evidence that supports your defenses, and how to effectively cross-examine witnesses. Obtain recommendations. If possible, obtain recommendations of attorneys from co-workers, family, friends, or lawyers who have represented you in other matters. If this is not an option, you may be able to obtain a referral from a state or local bar association. Research attorneys. Another way to locate an attorney is to do an internet search. Whatever way you obtain the names of lawyers, you want to look at their website for helpful information, testimonials from satisfied clients, and case results of cases they have handled successfully. You can also check online for any disciplinary proceedings against your choices and other sites where clients may have posted reviews. Interview candidates. After you narrow your choices, you should take advantage of the offer of a free consultation that many DWI attorneys offer and schedule a free consultation with a few at the top of your list. You can use this meeting to learn how they would handle your case and determine whether this is a person that you can trust and communicate well with. Facing DWI Charges in Charlotte? Have you been charged with DWI in Charlotte? At Browning & Long, PLLC, we have the added advantage of being former prosecutors and understand their tactics in these cases. We are dedicated to aggressively fighting to reach the best possible outcome for you in your DWI case. To learn more about our extensive experience and how we can help you, schedule a free consultation today.